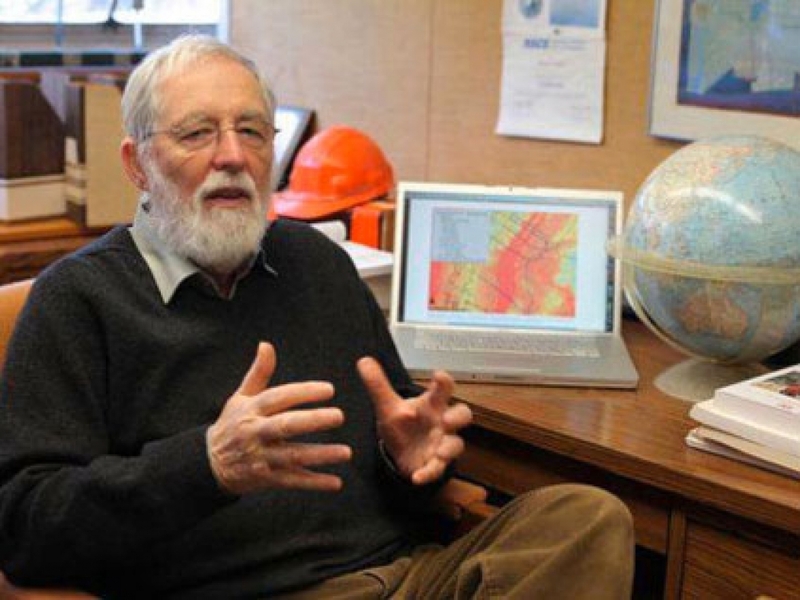 Jacob, a seismologist who used to worry mostly about earthquakes but who has expanded his portfolio to include climate change adaptation and disaster risk management, has been warning for years that the wall of water pushed ahead of a major storm could inundate low-lying areas of the city, fill subway tunnels with water and inflict tremendous economic damage on the region. He’s been so vocal, in fact, that he’s been labeled a “Cassandra” on the topic. 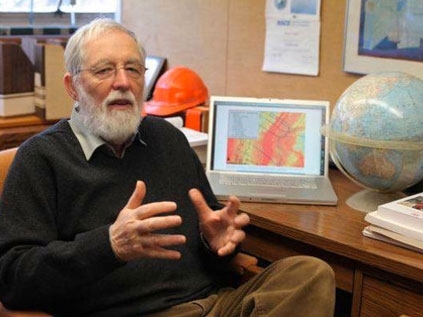 Klaus Jacob had warned for years that storm surge could inundate New York City. Now it was really happening, and as transit officials began moving trains out of harm’s way at Jacob’s urging, he sent an email alert about the likelihood of flooding to roughly 100 of his neighbors in the town of Piermont, N.Y., about 15 miles north of New York City, on the west bank of the Hudson River. “It’s my hometown forecast system, my private little undertaking for the benefit of the village,” he said. When a storm surge strikes from the sea, it pushes water up the Hudson — not just as far as Piermont, but all the way to Albany, nearly 150 miles further north. Hauling furniture upstairs, relocating subway cars to higher ground (as the MTA did on Jacob’s urging) and other emergency measures were all good things, of course, and ultimately saved New York millions of dollars — possibly hundreds of millions or even billions if you count the revenue that would have been lost if the city had ground to a halt for several weeks. Significant flooding at the Battery Park Underpass in lower Manhattan during Hurricane Sandy. Asked to imagine what he’d do if given unlimited authority, Jacob had no trouble coming up with specifics. 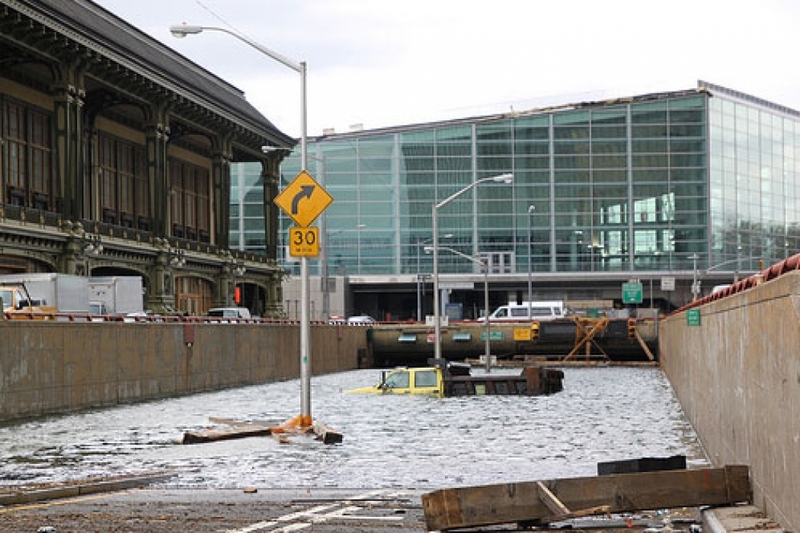 New York has many sectors that are vulnerable to floods, including power, communications and transportation — and transportation itself includes trains, subways, airports and roads. It would take hours to address them all, so Jacob focused just on the subway system. Look at the sidewalks and you’ll see ventilation grates that allow air to circulate down and through the stations and tunnels. “If they’re in the flood zone then close them and build substitute ventilation systems. And here, right away, we’re talking about money,” Jacob said. That would protect the subways, but streets and buildings would still be vulnerable, and while more elaborate measures are part of a climate resiliency plan released by the city last June — levees and floodwalls to keep the sea out entirely, artificial dunes to protect beaches in Queens and Staten Island and more — Jacob thinks such measures will ultimately be overwhelmed by the steadily rising seas. “It’s unsustainable, OK? It’s just not sustainable,” he said. It’s a visionary idea, at the very least, but it also raises one obvious question. If Jacob can see the rising threat of catastrophic floods so clearly, why did he choose to live right next to the Hudson River, where flooding isn’t all that unusual even today? “My wife was really hooked on that area,” he said. “So I said, ‘OK, we buy a place but we raise the house.’ “ Unfortunately, it turned out that height restrictions in the local zoning code dictated that they could only raise the house by 6 inches. “Unless we would chop off the roof,” he said. They opted to keep it.